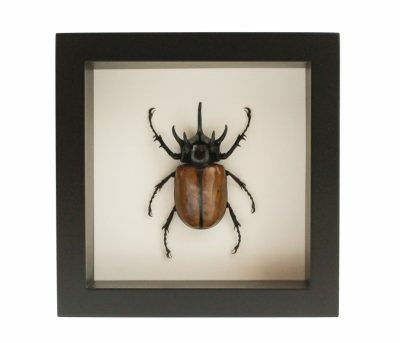 The Rhino beetle is one of the strongest animals in the world pound for pound. 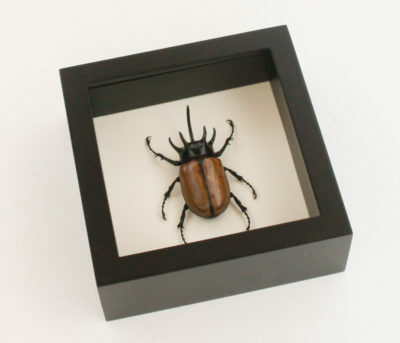 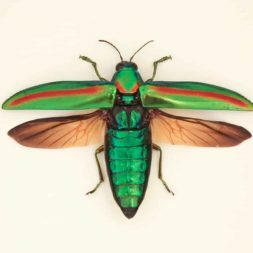 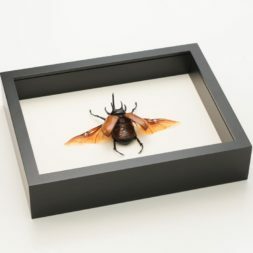 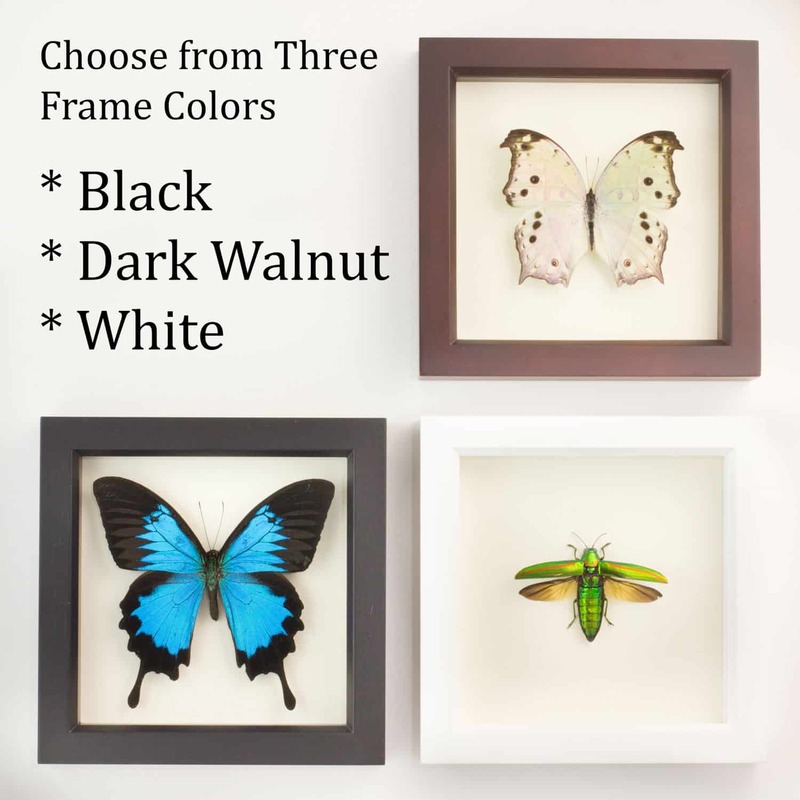 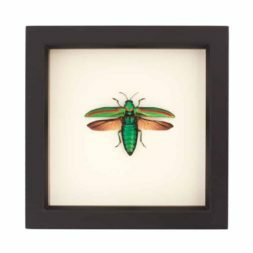 This insect mount features a Rhino Beetle professionally preserved in museum shadowbox. 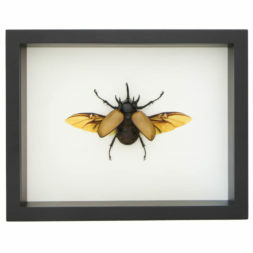 Also available with wings spread.